There is almost no hydraulic, pneumatic medium or system which could not be monitored and controlled by HYDAC measurement technology – quickly, precisely and safely. It is no surprise, therefore, that individually designed HYDAC measurement technology is employed by well-known manufacturers and operators in all industries. These applications range from analysis and diagnosis of operating fluids in the laboratory and on site, to controlling complex industrial systems and to miniaturized systems in construction and road vehicles. TTControl is a joint-venture company of TTTech Computertechnik AG and HYDAC International GmbH. It offers electronic control systems for mobile machinery and off-highway vehicles. E.g fork lifts, cranes, municipal vehicles, snow groomers, construction and agricultural equipment. Being leaders in functional safety, TTControl’s software and hardware platforms enable equipment manufacturers to develop highly reliable electronic control systems quickly and economically. TTControl has broad experience from commercial production projects in the domain of electronic control systems for off-highway vehicles. This relies on their equipment to function under the most difficult conditions. Innovative technology, together with extensive market experience, combine to provide TTControl’s customers with significant benefits. TTControl develops and supplies electronic control systems for off-highway vehicles. We insist into providing affordable performance and high levels of flexibility and safety. Our offering ranges from single or networked control units to smart operator interfaces. But it also includes software modules and project management. Thanks to its parent company TTTech Computertechnik AG, TTControl benefits from leading-edge technology in the automotive and aerospace industries. 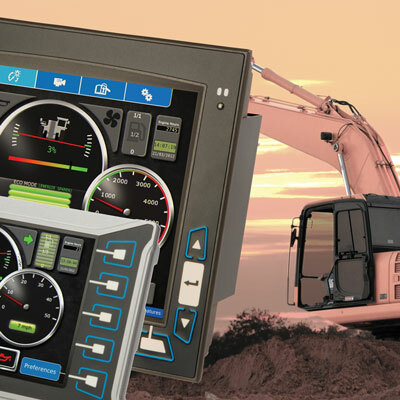 TTControl can, therefore, offers complete, easy-to-integrate solutions, with an especially high degree of reliability and safety to off-highway vehicle industries. TTControl also offers a broad range of advanced software and hardware platforms. This aims for the rapid development of highly reliable electronic control systems used in off-highway vehicles. TTControl solutions combine market experience and technology expertise for the automation of advanced functions of a vehicle. For our customers, this means higher levels of both safety and availability as well as an increased performance at lower cost. TTControl also provides a very high level of support to its customers as they develop the electronic architecture of their vehicles and equipment. Positioned as a provider of complete systems, TTControl also offers monitors, panels, and joysticks.